Young Jeezy got ARRESTED for Possession of an ASSAULT RIFLE! Young Jeezy has been ARRESTED!!! It all happened because of a shooting that took place at the Wiz Khalifa/Jeezy show in Mountain View, CA where a man died after he was shot FIVE TIMES! So Irvine P.D. 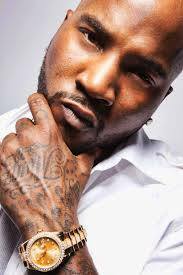 executed a search warrant on the tour bus this Sunday and they found an ASSAULT RIFLE which they believe belongs to Jeezy. He (along with other people in his crew) were arrested for possession of an assault rifle and he is currently being held on $1million bail!!! Hopefully he gets cleared soon–I doubt that he had anything to do with the shooting. Obviously, now he will have to deal with the illegal gun possession thing, though.